Spending 20 years in the recruitment industry will teach you a thing or two… Johnny Campbell has explored all parts of the industry, moving from recruitment roles into the SaaS sphere has given him a 360-degree view of the world of recruitment and talent acquisition. Wagner is the Head of Talent Acquisition for Deutsche Bahn. The theme of her presentation was “How Innovations Revolutionize Talent Acquisition.” This past week I had the opportunity to attend the Spring SourceCon event in Anaheim, CA. Corporate Recruiting Talent Acquisition FeaturedWe’ve heard it all: AI will take over the world and eradicate mankind. In this infographic, they dissect the two hiring approaches and highlight the differences between recruitment and strategic acquisition. A common misconception about recruitment and strategic talent acquisition is that many people think that they are the same thing. Talent Acquisition Candidates Hiring RecruitingIn today’s technology-driven world, companies that do not have a digital presence will not be successful. Many companies deploy inbound marketing techniques. While the number of HR and talent acquisition conferences continues to climb, we’ve put together a roundup of 10 such events you’ll definitely not want to miss, as you plan for 2017. Top 10 HR and Talent Acquisition Conferences 2017. Global talent acquisition is indeed a Thing. 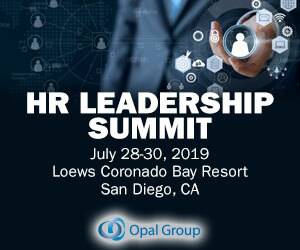 Corporate Recruiting Recruiting training Talent AcquisitionIn fact, with the right strategy and tools for sourcing, assessment, and candidate engagement, global recruitment teams can virtually “follow the sun,” accelerating the speed and quality of hiring. Disruption can either make or break a process, a company, or even an entire industry. This can be little or small, however, the impact can be felt wide and far. Depending on what the disruption is and what the cause was will ultimately change the effect. When it comes to your company’s New Year’s resolutions, here’s how to put talent acquisition strategy first. Whether it’s a lack of applicants, a lack of qualified candidates, or a lack of accepted offers, it can be pretty frustrating trying to find top talent in today’s candidate-driven market. You could very well be making one of these seven deadly talent acquisition mistakes. All this said, what other departments should talent acquisition be working with the most? That’s often called employer branding , and it’s fairly strategic in terms of the type of talent you can attract. To most people, recruiting is “a HR thing.” That’s the silo it belongs to. The talent acquisition profession is one that has grown and evolved over the years, mostly by necessity. Talent acquisition has often been called an “accidental” profession. With recruitment data and analytics, recruiters can stop making judgement calls and begin taking a scientific approach to talent acquisition. 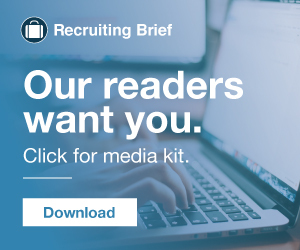 The post How Recruitment Data and Analytics Supports Talent Acquisition appeared first on Recruitics. It Starts with Talent Acquisition. Strengthening recruitment efforts by increasing volume is a start, especially for highly sought-after talent; bolster those efforts and increase self-selection by communicating culture and successful attributes. Start with the end in sight. Think about what Talent Acquisition is truly responsible for in most organizations: Full-time employee hiring. Talent Acquisition owns all those hours – every hour that is worked and paid for comes out of the budget in some line item. appeared first on Fistful of Talent. Back in October Johnny took some of the findings from our Global Recruiting Survey 2018 , and focused on the hot topics of Total Talent Acquisition and The State of Sourcing & Recruiting. The post SlideDeck: Total Talent Acquisition & Sourcing appeared first on SocialTalent. Corporate Recruiting Talent Acquisition FeaturedWhen I’m not doing my day-to-day TA job, I spend a lot of my remaining time having wonderful conversations with TA professionals around the world — discussing challenges, opportunities, and forward-looking ideas.